There can occur a Star wars-esque (bumble bee) flight in the middle of a lazy June day. One wonders at the impact of a warp-speed bee upon an iris as landing pad. For sure, the landscape dips. 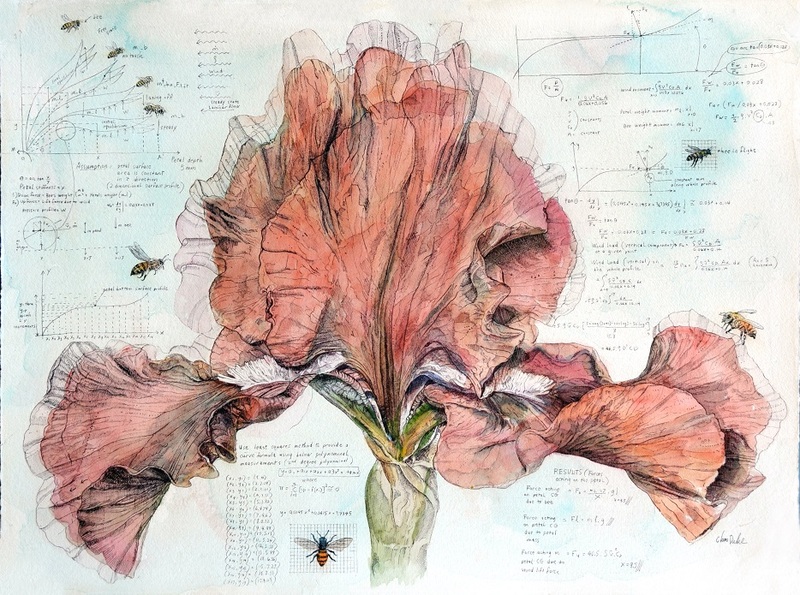 Though whimsical, all of the scientific formulas describing the impact of the bee on the iris are based on real science. Whether or not we detect this impact with our human eyes is a different matter. I am sure the bee perceives forces and movement we miss. I was thrilled that this painting was on display at the Allegra LaViola Gallery in New York City in June-July, 2013. Please see my News update for details.